When a tooth's condition is so bad that none of the restorative dental procedures will produce a positive, long-lasting result, the best solution is to extract the tooth. In those cases, it's good to know that with today's surgical techniques and medications, extractions can be done without anxiety and pain. To perform most extractions, Dr. Jose M. Martinez elevates the tooth to loosen it. Once loose, the tooth is easily removed. More complex extractions require other techniques and more time. A combination of anesthetics and medications helps ensure clotting is achieved in a short period of time. Many times, a prescription for pain medication is given to the patient in order to minimize any discomfort. Also, instructions are given verbally and in writing on how to take care of the surgical site. 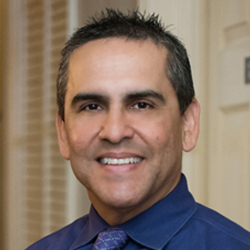 Dr. Jose M. Martinez is always available and will address all your concerns about this surgical procedure.